Bethene “Beth” C. Petersen, age 89, of Moville, passed away on Monday, July 02, 2018 at the Mercy Medical Center of Sioux City. A funeral service will be held on Saturday, July 07, 2018 at 10:30 AM at the United Methodist Church of Moville with the Rev. Janet Rieckhoff - Faris officiating. Burial will be at the Arlington Cemetery of Moville. A visitation will be held on Friday, July 06, 2018 from 5:00 PM – 8:00 PM at the Nicklas D. Jensen Funeral Home of Moville. Bethene “Beth” Claire was born March 10, 1929 in LeGrand, Iowa to Joseph and Delta (Williamson) Ensminger. She graduated from Westfield (Iowa) High School and moved to Sioux City where she met the love of her life, Kenneth “Kenny” Petersen. They were married on October 10, 1948 in Moville and resided on the family Century farm throughout their marriage. Beth loved the farm and resided there until last November when she moved to Char-Mac in Lawton where she made many new friends and was thought of fondly. Beth is remembered by her family for her gentle, warm nature and her love and acceptance of everyone. This love nurtured 3 children, 10 grandchildren, 14 great grandchildren and 2 great great grandchildren and extended to hundreds of preschoolers and their families during her 31-year tenure as a Head Start teacher in Sioux City where a center is named in her honor. She was nominated for the Siouxland Woman of Excellence Award in 1998. 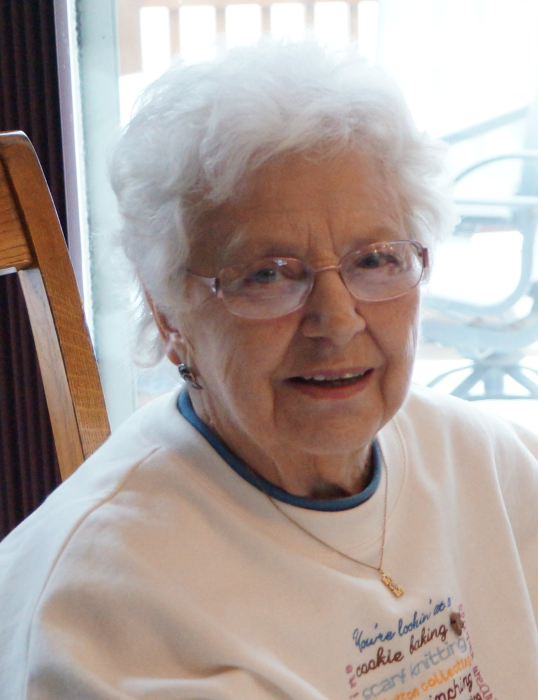 She treasured time spent with her family and enjoyed gardening, canning and flowers. Beth died peacefully, surrounded by her children on Monday, July 2, 2018 at Mercy Hospital in Sioux City. She was 89 years old. Beth was preceded in death by her husband of nearly 44 years, Kenneth (Kenny) and 5 sisters, 3 brothers and her parents. Left to honor Beth’s memory include her daughter, Sandy (LaVerne) Crim of Webster City, Iowa and their children Amy (Paul) Atchison, Angela Crim and Betheny Crim; her son, Keith (Lynette) Petersen of Underwood, Iowa and their children Melissa (Andre) Humphrey, Ken (Jen) Petersen, Jay (Dani) Petersen, Dave (Amy) Schipper, and Mattisen (Anthony) Moss; her son, Jeff (Jody) Petersen of Moville, Iowa and their children Jennifer (Brian) Newberg and Jessie (Jay) Phipps; 14 Great Grandchildren, 2 Great-Great Grandchildren and several nieces and nephews. In lieu of flowers, a memorial has been set up in Bethene’s name.